Dazzle up your house with the uplifting citrus-y scent of Tangerine Bliss Swirl Candles. It comes in a set of six, all set to glam up the nooks and corners of your gracefully studded adobe. 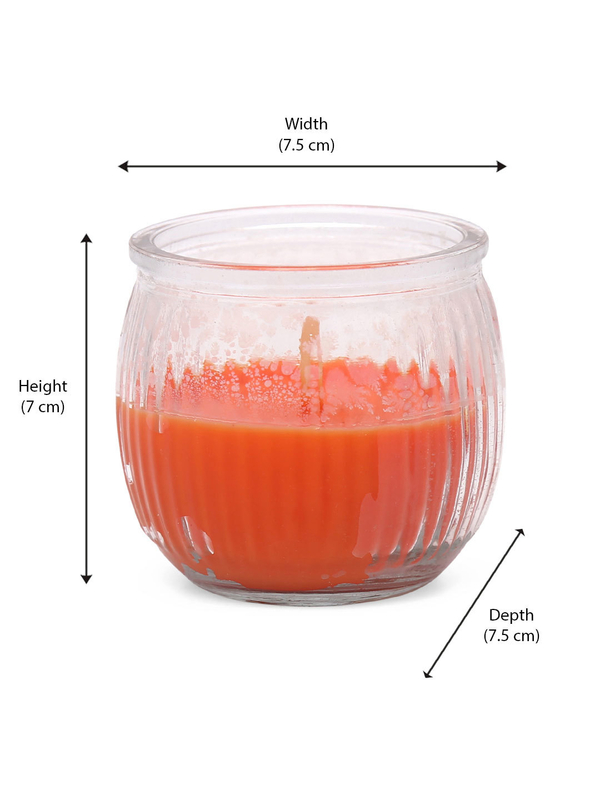 The bright set of candles could deck up you dinner and it could also unfurl the desired festive vibes. Let the refreshing fragrance put you off your stress post an exhausting week, light it up in your restroom prior to a warm shower and smile through the approaching week.